The Exxon Mobil Corporation, or ExxonMobil, is an American oil and gas corporation. It is a direct descendant of John D. Rockefeller's Standard Oil company, and was formed on November 30, 1999, by the merger of Exxon and Mobil. 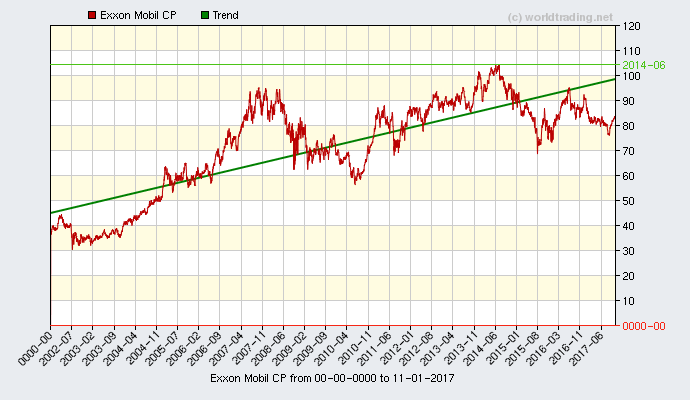 ExxonMobil is the world's largest publicly traded company when measured by market capitalization. Exxon Mobil's reserves were 72 billion oil-equivalent barrels at the end of 2007 and, at current rates of production, are expected to last over 14 years. The company has 38 oil refineries in 21 countries constituting a combined daily refining capacity of 6.3 million barrels.